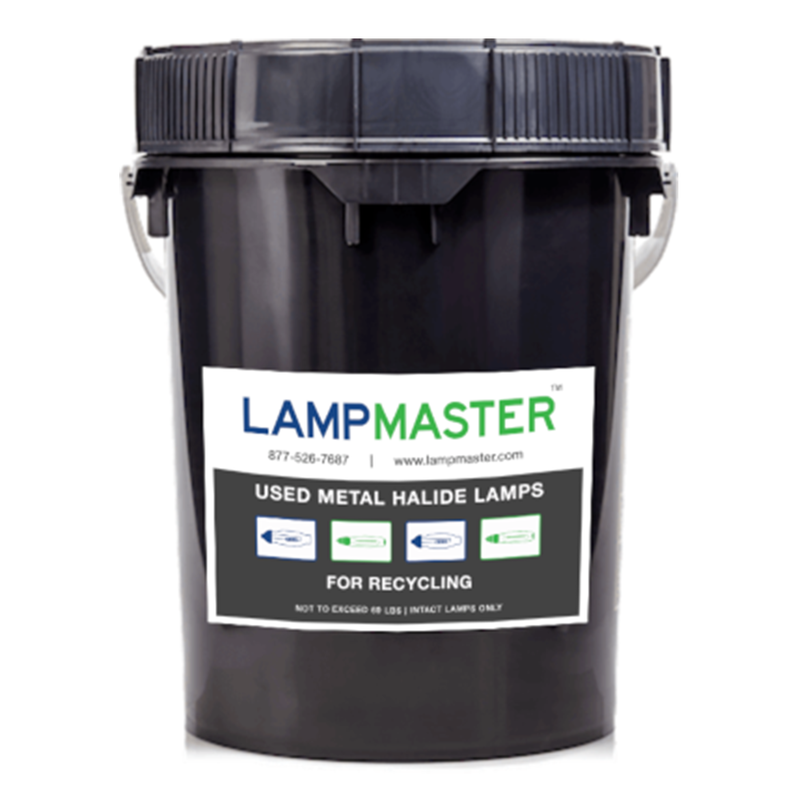 LampMaster’s 5 Gal Metal Halide Bulb Recycling Kits hold up to 90 Small HID bulbs. The LampMaster Metal Halide Recycling Kit 5gal is a simple, but effective way to make sure you are staying in compliance with the Environmental Protection Agency. It is important and environmentally responsible for households to recycle metal halide or high pressure sodium lamps and all types of mercury waste. It is also required for many businesses as part of the EPA Universal Waste recycling regulations. Recycling your metal halide or high pressure sodium bulbs instead of throwing them in dumpsters or trash compactors prevents mercury from being deposited into our communities’ landfills and allows for the reuse of glass, metal, and other materials. Virtually every component of metal halide and HID lamps can be recycled. 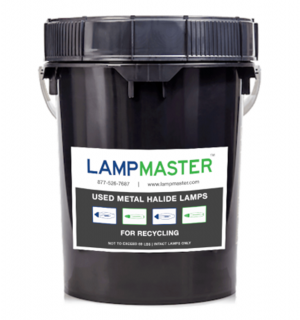 With the purchase of the LampMaster Recycling Services, Inc Metal Halide Recycling Kit 5gal, you can collect, package, and safely ship up to 90 small HID bulbs including metal halide and high pressure sodium. After ordering your metal halide recycling kit, you are another step closer to keeping your home or business environmentally responsible. If the 5 gallon kit isn’t enough for your needs, we also offer a large box kit that can hold significantly more or larger lamps. All of our recycling kits come with instructions, packing materials, and a prepaid return shipping label, making it simple to return your materials to one of our recycling centers. The EPA allows collection of Universal Waste for up to one year. So even if you don’t have enough to fill your kit right away, you can hold on to it and continue to collect for up to a year after your initial collection date. By purchasing this product you are agreeing to Our Terms and Conditions and our Our Refund/Return Policy. 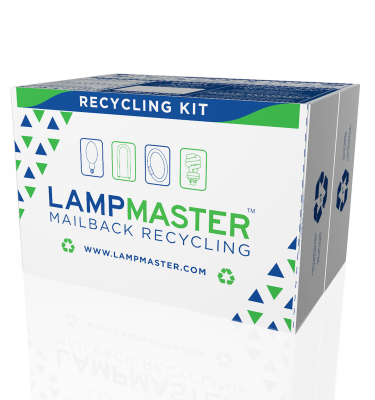 Each LampMaster Recycling Kit includes everything you need to recycle your lamps, batteries, or electronic waste. We will ship you a container with a prepaid return label. Fill the container and request a pickup from FedEx or set it out for your daily FedEx delivery driver. Once received, we will send you a Certificate of Recycling so you know your Universal Waste was handled and recycled responsibly. Continental U.S. use only. Not available in Alaska, Hawaii and Puerto Rico.